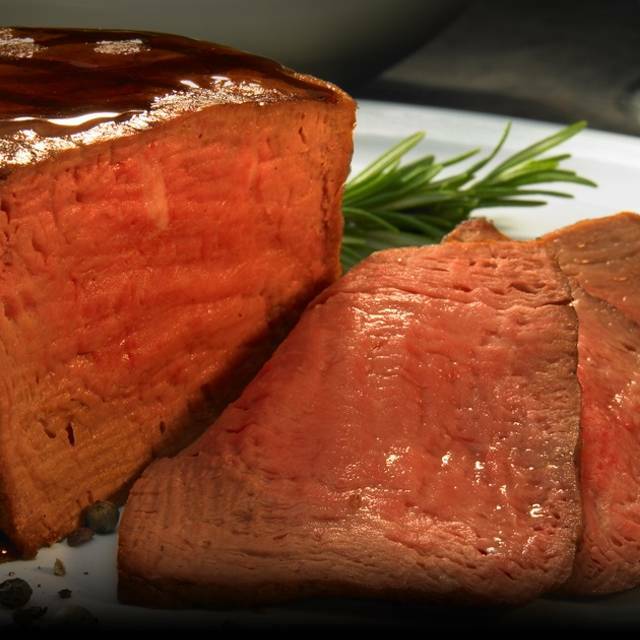 You must make reservations at least 5 minutes in advance of the time at Hank's Fine Steaks & Martinis - Green Valley Ranch Resort, Casino & Spa. Covered hotel parking garage available as well as valet located right outside the exist closest to the restaurant. Hank's Fine Steaks and Martinis has live entertainment Sunday thru Thursday from 6pm-10pm and Saturday & Sunday from 7pm-11pm. Private dining available for up to 50 guests for exclusive use. Please contact 702-617-6800 for accommodations. 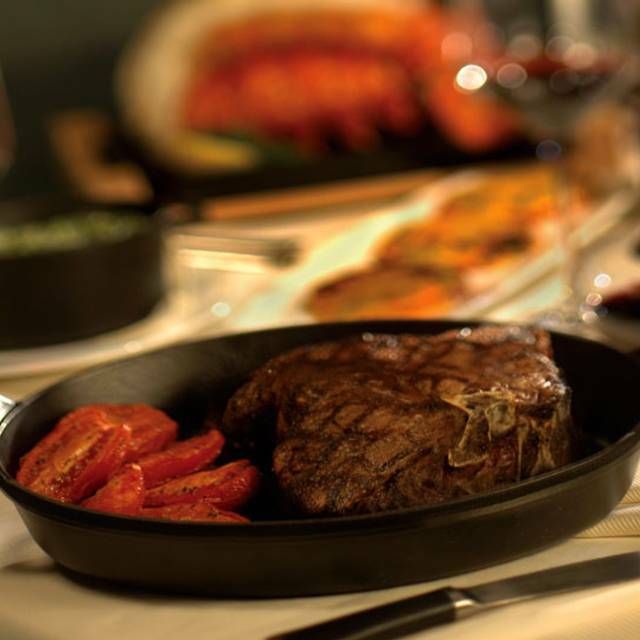 Luxury dining with impressive menu selections, including steaks and seafood, to satisfy any palate. 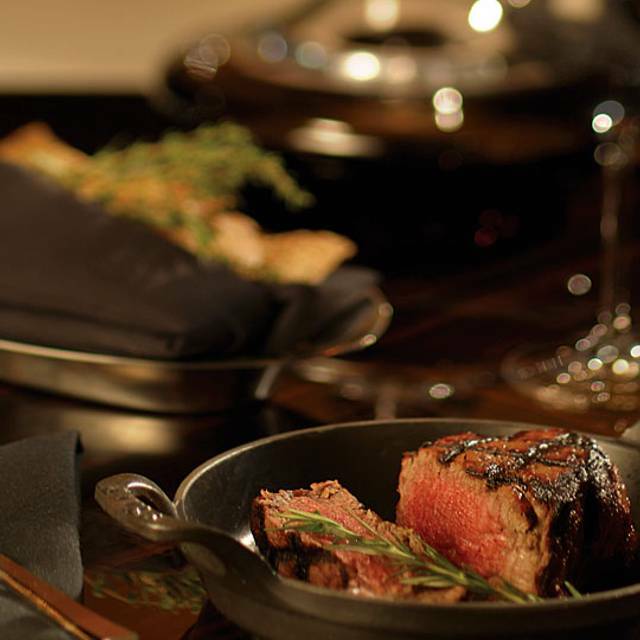 HANK’S Fine Steak’s and Martinis features tender, oversized dry-aged prime steak, signature bone-in meats and fresh fish flown in daily. 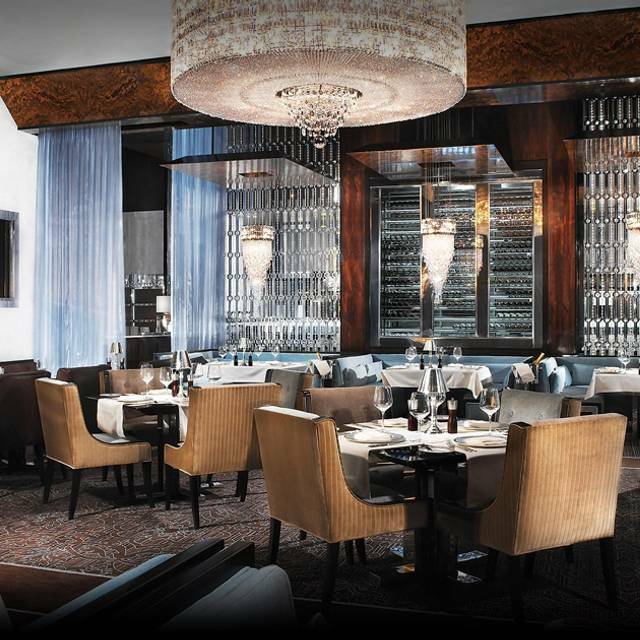 A meat lover’s Mecca with signature martinis and ambience that never fails to tempt and delight. Enjoy a cocktail at the bar or lounge area with live entertainment Tuesday through Saturday. 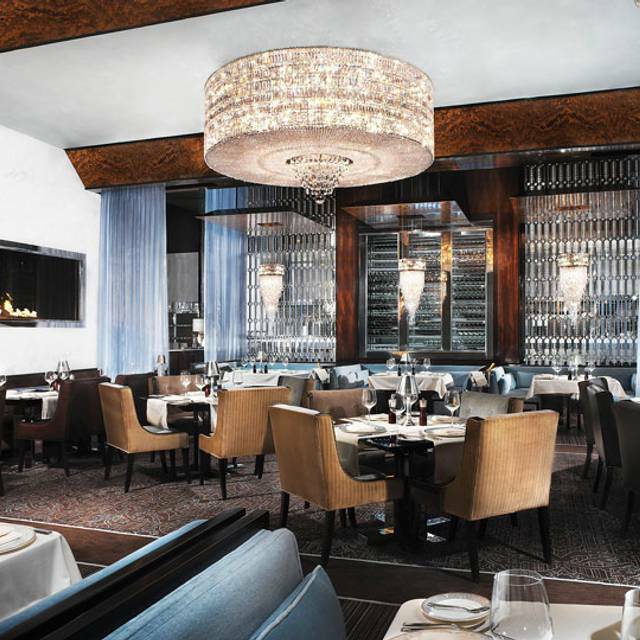 Hank's Fine Steaks & Martinis has a modern interpretation of classic mid-century décor that embodies the elegance and romance of a vintage night out on the town. From the moment you walk in, you'll feel as if you were transported to a time when going out to dinner was still treated like a special, unforgettable event. Ordered a bone-in Filet Medium and it was well. Brought this to the attention of our waiter, and he suggested I cut into the middle, which was closer to medium. However, I din't not order a Filet HALF medium and Half well. The whole filet should have been Medium. He never even suggested to replace the steak. Was somewhat disappointed in this as I eat quality filet steaks at quality restaurants 3-4 times a month and never heard this excuse for over-cooking my filet. EVERYTHING IS GOOD, BUT MY FAVORITES INCLUDE THE TEMPURA SHRIMP APPETIZER, WHICH IS QUITE LARGE, THE STEAKHOUSE SALAD (ALSO LARGE), THE CAULIFLOWER, AND OF COURSE, THE ABSOLUTELY WONDERFUL CAKE WITH THE BUTTERY SAUCE. AND, I AM NOT A FAN OF CAKE AT ALL. THIS IS SUPERGOOD!!! In the past, I would have; however, after what I experienced on my birthday was horrible. We had a big part of 12-15, the bill was moderately priced; however, when people were given their bills, there were some people who was EXTREMELY OVERCHARGED for items they did not purchase. I know things like this do not happen often; however, I was disappointed overall with the entire experience. Went there for our 7th year anniversary. Ordered food at 7:25, didn't get our food until 8:40. Asked for my bill to just leave and food came 5 minutes later. We decided not to eat and just leave as I was fed up! Will never go back there again! Had not been to Hank’s in over 5 years. I had always wanted to go back. 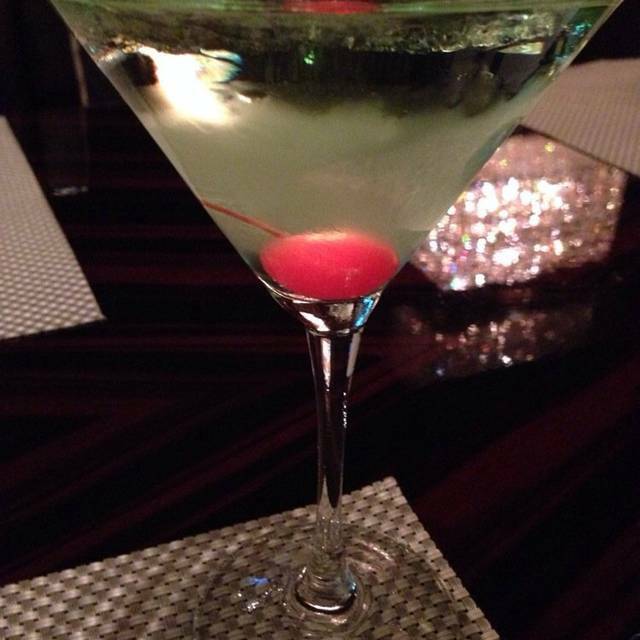 The best martinis and steaks ever! We have enjoyed Hank’s in the past but this visit was a disappointment. It was very loud, and meal was average, a disappointment. Our server Brandon was excellent but it took an extremely long time to get our dinner..
We love to go to Hanks. The only problems is the noise is way to high. Singing and lots of talking. For our taste to noisey. They need to move the dining patrons more to the back of the restaurant. The waiters were absoutely wonderful. The food was absolutely delicious. The service we received was amazing! Food was absolutely delicious and the service was excellent. I love Hanks. Let’s be clear about that. We were there on a busy Friday night and seated in the middle of the dining room. It was so loud, it was impossible to communicate. I had never noticed that before. Maybe it was where we were sitting. My Husband does not eat meat, he orders salmon a lot when we go out. He was not pleased with the salmon he received...it was dry and besides that made him feel ill when we got home. Even the next morning he felt nausea. We love going to Hanks but this time just not fully pleased. The food was fantastic. The best Kitchen sink Caesar Salad I’ve ever had. The Service was horrible and it was cold in the restaurant so by the time you took a second bite of your baked potato it was cold. Overall a very pleasant experience. Definitely worth the dining experience every time. I was so looking forward to this dinner based on what my neighbors told us about Hanks. At the end of the day I thought the restaurant was average. The place is stunningly gorgeous and you are greeted and addressed very well by the staff. For my appetizer I ordered the shrimp cocktail. Big beautiful shrimp; only the shell was still all over the meat. No big deal, they swapped it out. However, the server didn't come over and check that everything was ok - nor did the manager. I've come to expect this at fine restaurants, especially in Las Vegas (I'm a resident). Heck, when something is sent back at Yard House the manager comes over to the table. Ok they brought a fresh portion out and everything was fine. I had the regular wet-aged filet mignon. 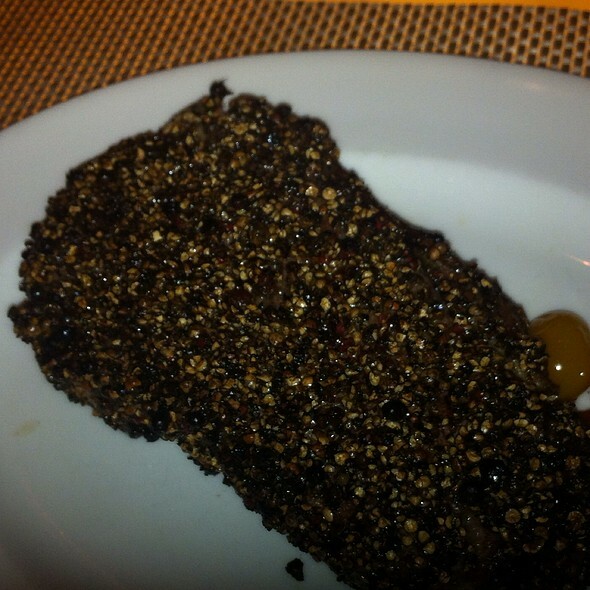 It was cooked as ordered, but I felt the steak was just "ok." I had higher expectations to be honest. I've had some killer steaks locally, not just on The Strip, and they were far tastier than this one. And so I was let down. The restaurant isn't "bad" in anyway - but at this price point, and it being called "fine dining," I didn't think it lived up to what it should have been. Fabulous steaks.....one of the top places for a night out and great food. We celebrated my best friend’s birthday. 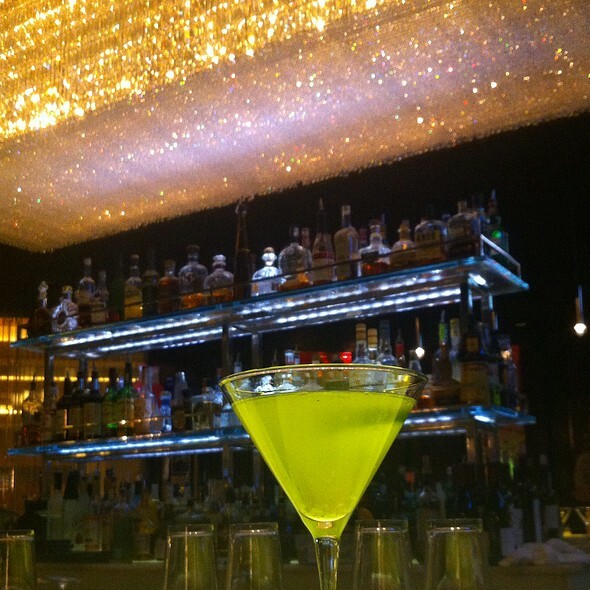 Starting with the delicious martinis from the bar and a bartender who knew her stuff, the night got even better! Our servers, Brian, Brandon and Tom (I hope those are their correct names! 🍸) were attentive, made great wine suggestions and gave us space to enjoy our time together. Hearts of palm salad is the best! We each had a perfect filet with mushrooms and Mac and Cheese to share. Chocolate dipped strawberries to celebrate were a great surprise and the butter cake killed!!!! Our meal was delicious. The service was fantastic. Everyone was very personable and we had a toddler with us, and we still felt comfortable in such a high end restaurant. The staff are very accommodating. The restaurant is beautiful and food is excellent. Great food. Music a little loud. Sat in back room and it was good. Our steaks were not medium. They were extremely rare. Would be great if they could cook their food appropriately. It's a bit expensive so not somewhere that you want to go every night for dinner but if you have a special occasion to celebrate, it is totally worth it. The food and the service have never disappointed. Food and service were excellent. Noise levels made the meal less enjoyable. We've always enjoyed Hank's and it's one of our favorite spots, especially for special occasions. We celebrated our 49th anniversary there on March 7th. We weren't terribly hungry so elected to eat "light" with wedge salads, shrimp cocktails, and crab cakes. All were delicious and servings were more than adequate. The service was excellent, and our waiter surprised us with a decadent chocolate cake. The decor at Hank's and the ambience were the icing on the cake, so to speak, for a beautiful evening. The food was amazing, flavorful and rich. Our meals ranged from prime rib, to NY strip to vegan stuffed eggplant. 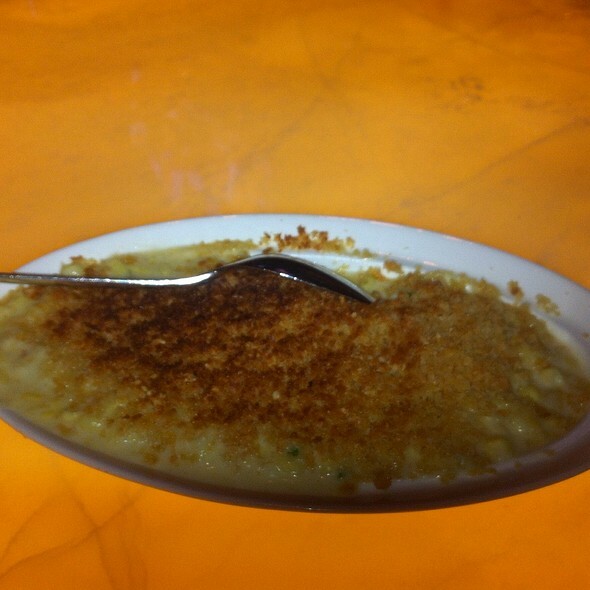 Each of us were impressed with the quality and flavor of our food, and the desserts were out of this world. The service we received was exceptional. Pat, Leah and Jose were an excellent team and provided a wonderful dining experience. We also enjoyed the sound of Ellie King as an added bonus. As always- an amazing overall experience! Drinks, Apps, Delicious dinner.... next time I will save room for dessert. Everything was good but all of our steaks were over cooked slightly! and staff excellent truly recommend Hank's at Green Valley Ranch! We wanted to treat our neighbors, and whereas there are many fine steakhouses in the Las Vegas area, Hank's has to be among the best. We were escorted to quiet round table upon arrival (allowing conversation), greeted by our waiter, Rich who opened the wine we had brought explaining their corkage policy. Great food, service, and ambiance. Our waitstaff was lovely - Rick is amazing and delivered all the options and recommendations we requested. Although my filet was overcooked it was still full of flavor and well seasoned. They even brought us a toffee cake to make up for the mistake - best dessert I've ever had. Highly recommend Hank's and will definitely be back!